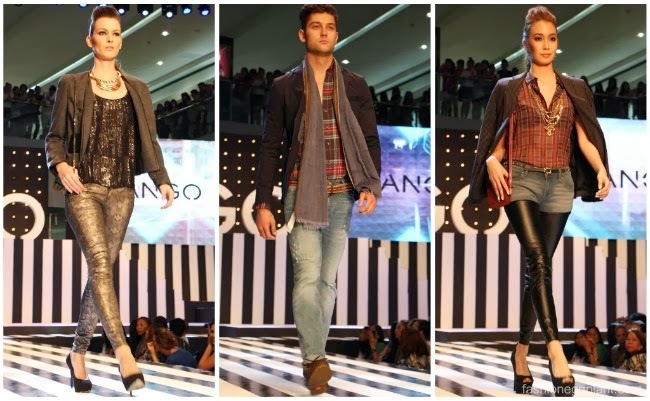 Mango opened their new flasghip store in Mall Of Asia yesterday with a bangin' fashion show called "Mango Rocks It Up" which featured their latest collections for Fall/Winter 2013 from Mango, Mango Touch, Mango Sport & Intimates, Mango H.E. 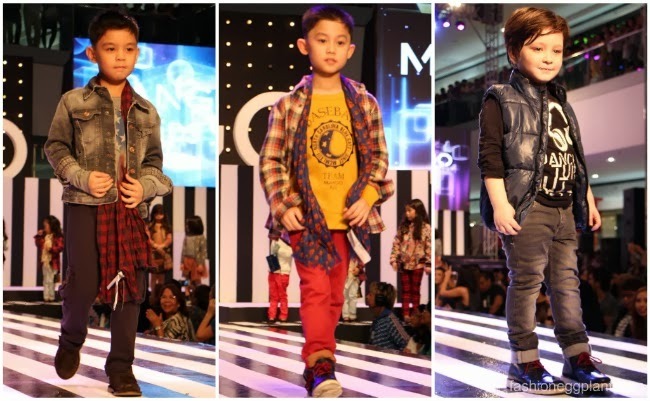 and Mango Kids. The show was hosted by Borgy Manotoc and Nicole Anderson while live music by Taken By Cars provided the festive atmoshphere and soundtrack of the event. Their MOA boutique is by far their largest and most complete with all of their lines under one roof. 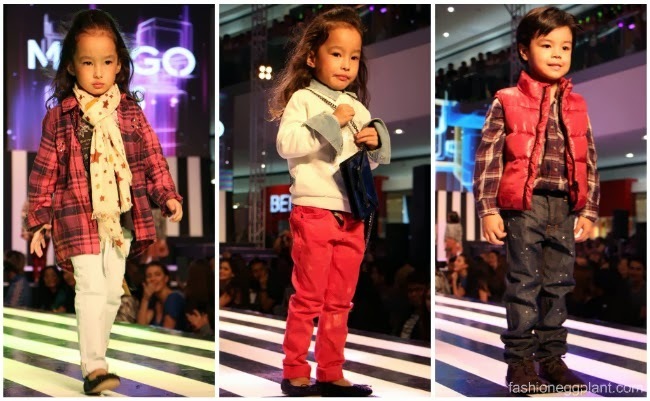 Now, your whole family can shop together just like Aubrey Miles, Troy Montero and their super adorable son who was looking really stylish in his little scarf. Fall/Winter 2013 at Mango is highly influenced by grunge and rock n roll. 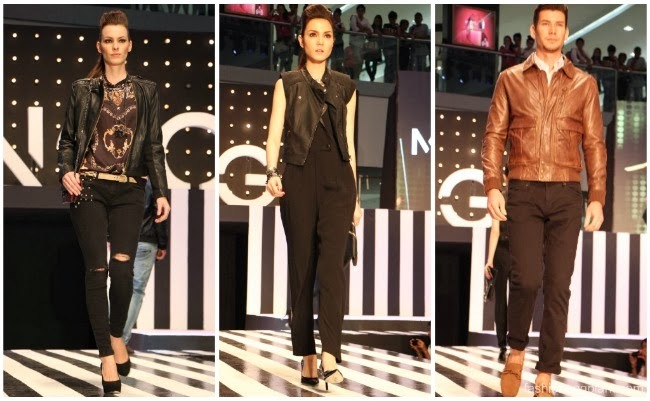 The collection is comprised mostly of plaids, tartans, faded florals, structured coats/jackets and beat-up jeans. For the more glamorous set, there's also lots of luxe pieces in gold tones that are perfect for the holiday season ahead. Mango's Flagship Store is now open at the ground floor of SM Mall Of Asia. See the video of the fashion show HERE. I love everything about this collection from casual to glam! I can totally see myself rocking these outfits. Hah!